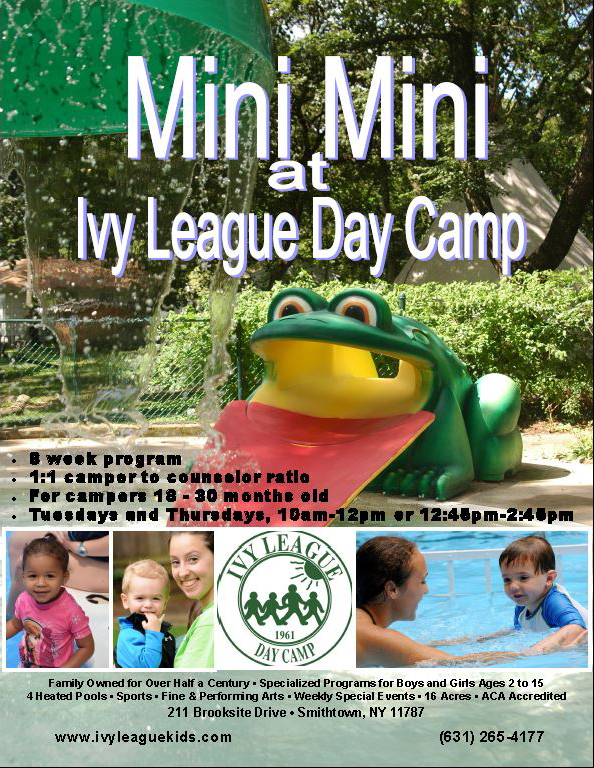 For our youngest campers, Ivy League offers a 2 hour program on Tuesdays and Thursdays in the morning (10:00am –12:00pm) or the afternoon (12:30pm –2:30pm). 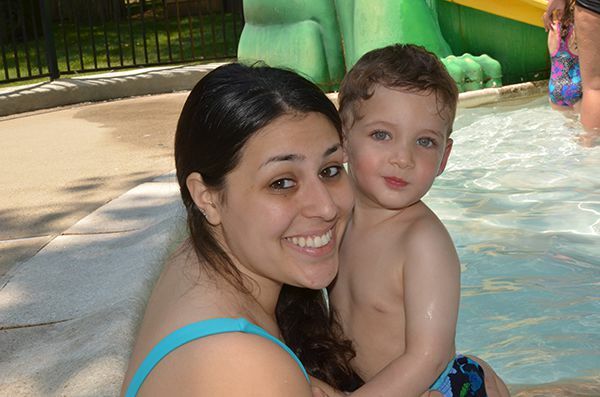 Our Mini Mini program is an 8 week program that offers your toddler a 1:1 camper-to-counselor ratio. It is the perfect program for children who have not yet separated or want to go to camp just like their older brothers or sisters. 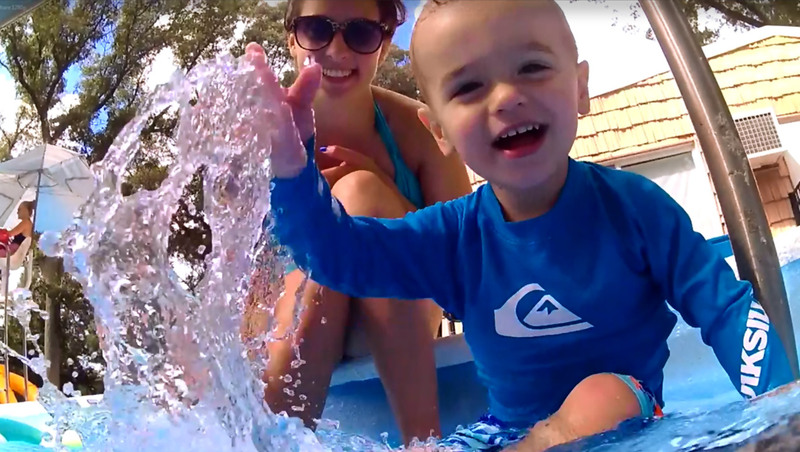 Campers as young as 18 months get the opportunity to swim in our Froggy pool and experience our sports, playgrounds and art activities. For more information about our Mini Mini program, click the flyer below.